May 1898. Court Judgements as advertisement. 1898 December. 2nd annual report. 1899 Demonstration of two machines designed and made by W. A. Taylor. 1899 Charles Jarrott in shown as secretary. 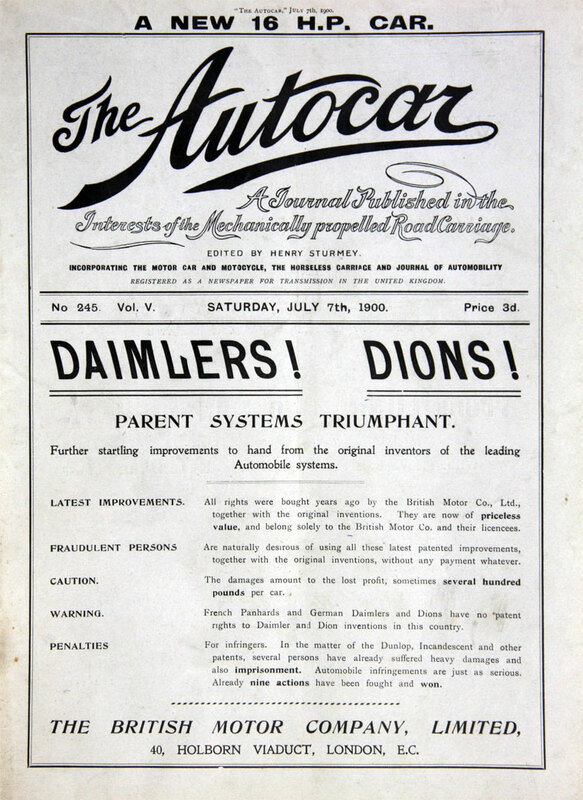 1899 Lent a DeDion tricycle for demonstration at the Automobile Club Show, ridden by S. F. Edge . 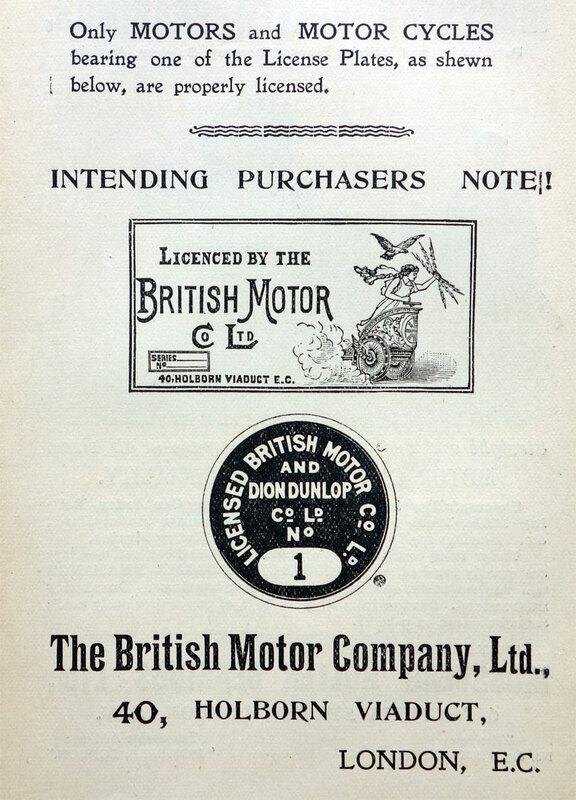 The British Motor Coupe Co was an "offshoot" of the company. 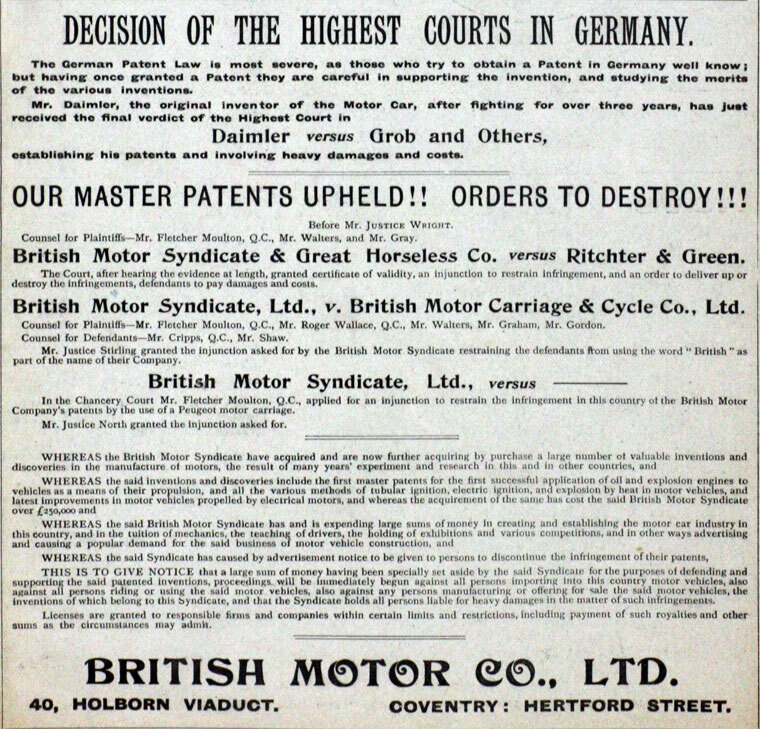 1900 Proposal for reconstruction of British Motor Co; required extra funds from shareholders . 1900 Voluntary liquidation to be followed by reorganisation . 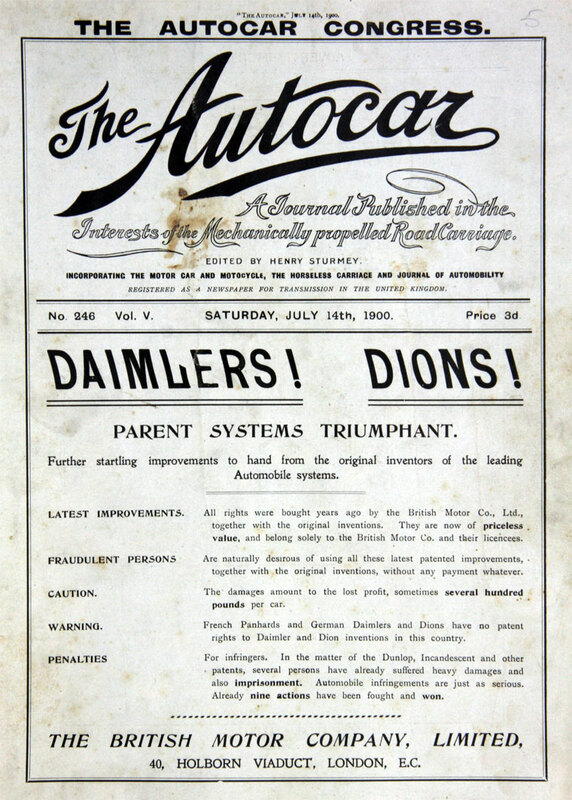 1900 After the failure of the British Motor Syndicate, its affairs were handled by the British Motor Co .
1900 Legal action brought by J. E. H. Andrew and Co against the British Motor Co and others . 1900 September. 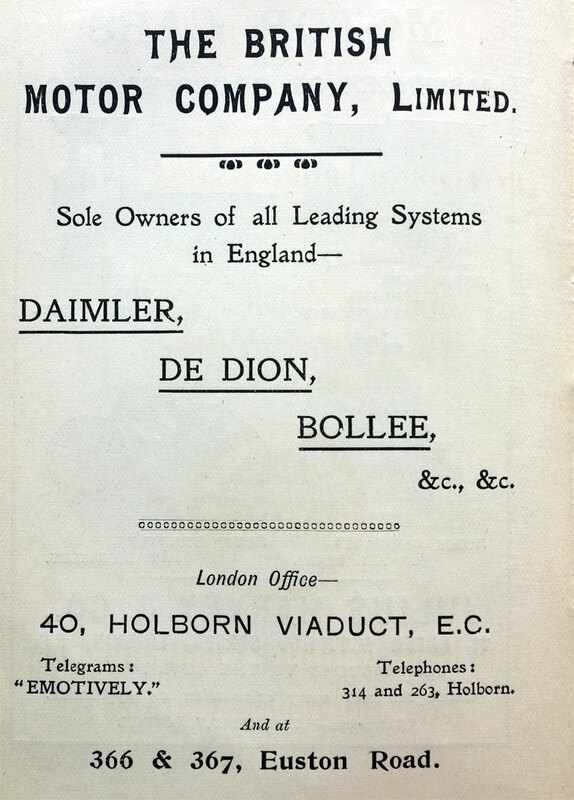 The British Motor Co was reorganised and renamed the British Motor Traction Co.